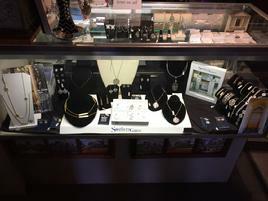 We stock a large selection of Southern Gates Jewelry as well as Charleston Gates jewelry, all sterling silver. 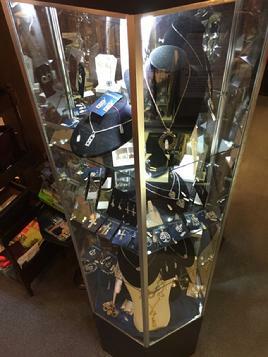 Choose from our wide selection of Southern Gates and Charleston Gates Sterling Jewelry or from our Susan Shaw 24K gold plated pieces. 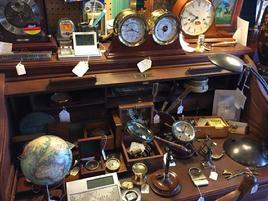 Our desk accessories and gifts for gentlemen include desk clocks, nautical items and all sorts of compasses. 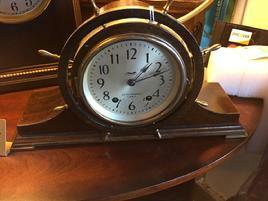 Many hard to find clocks from Hermle, Howard Miller, and others as well as good antique clocks are available in-stock. Gift items and home accent pieces from lamps to wedding gifts, vintage music boxes to automated World's Fair replica music boxes, and globes to decorative objects de arte are available. 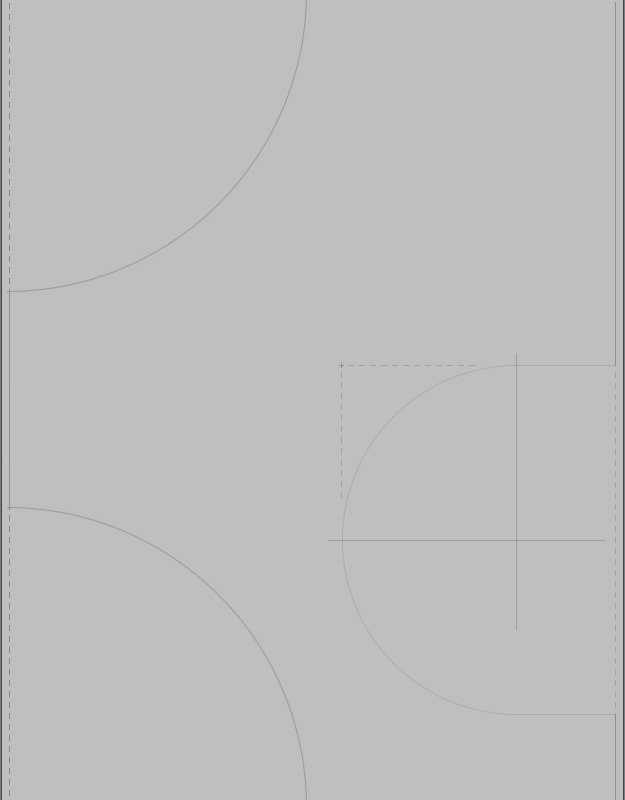 We have something for nearly everyone! Come see! 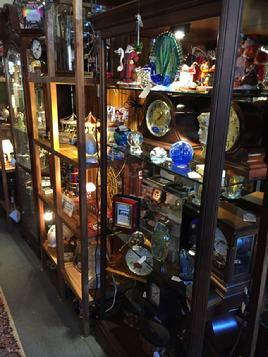 We have lots of clocks and many gift items such as hand made art glass vases, paperweights, and other items. Hermle Tellurium "Heaven Motion Machine" features Westminster chimes on bells and accurate geared motion to show the earth's daily rotation, the moon going through its phases, and the earth's yearly revolution around the sun. Hermle limited edition 31 -day, weight driven wall regulator with ruby and roller bearings. 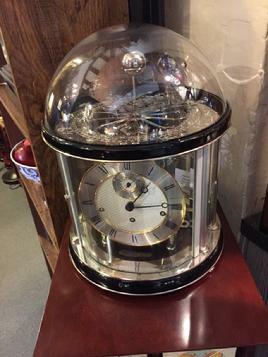 Seth Thomas Ship's Bell strike mantle clock.